Get ready for your technology infused 21st century classroom! 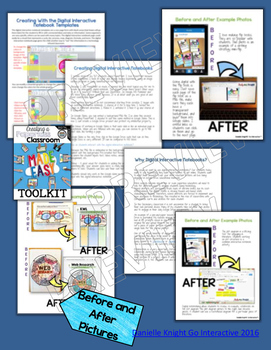 Your common core lessons will be alive with enthusiasm when you bring digital notebooks to your students. Educational Technology. Mobile Learning. Google Resource. Digital Classroom. You don't need to be a teacher in a 1:1 classroom to deliver digital content for your lesson plans and curriculum. Using a teaching text, or instructional web tool - like an online textbook paired with Google Drive, Google Classroom, Microsoft OneDrive, or a learning management system, is an excellent first step to try paperless classroom instructional technology methods. Elearning promotes differentiation, collaboration, improves overall learning objectives, and student growth mindset, which are proven advantages of using classroom technology. 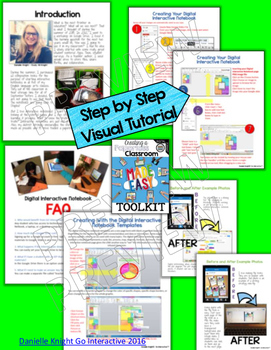 This digital download is for a teacher who wishes to create exciting paperless activities for their own classroom, home school, and tutoring. The toolkit does not include selling instructions or the support group. •Microsoft OneDrive users can seamlessly use the digital resources by following the Microsoft OneDrive step-by-step visual tutorial. This will only take minutes! 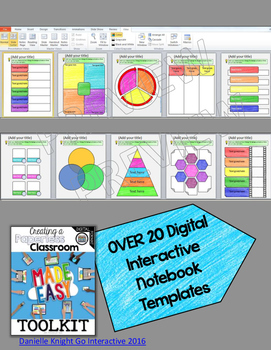 Fully editable 20+ digital interactive notebook templates you can use over and over again and get inspiration to make your own. Fully editable digital flip book templates you can use over and over again and get inspiration to make your own. An awesome array of original colorful “crayon textured” backgrounds created specifically for digital interactive notebooks. I am using these in my own creations! This guide and the contents of the toolkit cannot be shared on a website, share drive, or any kind of district cloud storage. It is intended for one teacher to use. Want to provide this guide or present this to your district, school, or department? Please select "add multiple license." You can contact me at studyallknight@gmail.com for special bulk pricing. ★Original educational teaching and learning materials delivered by web based file sharing services, operates in the internet 'cloud' and allows you and your students to access, edit and print files from any computer or device. Why use a Digital Notebook? 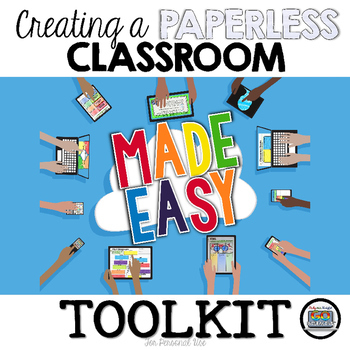 ★ Paperless classroom. No printing. No cutting. No glue. ★ For use on Chromebooks, Ipads, desktops, laptops, tablets, and other mobile devices! Created by Danielle Knight, © Study All Knight, The Knight Stuff, LLC.